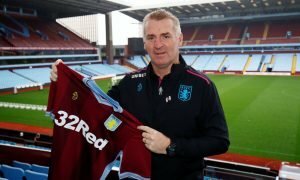 Lambert wants former striker at Villa Park | The Transfer Tavern | Where football transfer rumours fly or die! There’s a few whispers around the Football Transfer Tavern this afternoon that Aston Villa boss Paul Lambert is ready to make a move for Norwich striker Steve Morison. 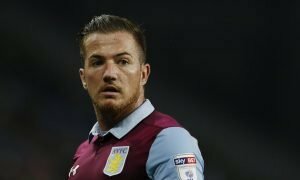 Lambert departed Carrow Road for Villa Park in the summer and according to Mirror Football he is now willing to poach the forward from his former club. The former Colchester manager left on bad terms with his old club and the two parties are yet to agree compensation so that Lambert could move to Villa, however he is still prepared to risk the wrath of the Canaries by taking their Welsh international marksman. The former Stevenage and Millwall striker would provide reliable back up to excellent Belgian summer signing Christian Benteke with Darren Bent looking likely to leave the club in the January transfer window. Morison has struggled to get game time under new Norwich boss Chris Hughton this season and could be ready to move on to save his Premier League career. Would Morison be a suitable foil to Benteke at Villa Park? Vote in our polls below.